In 1929 Adrian Rollini sat down to pen what could be considered the earliest treatise on the bass saxophone for the Melody Maker Magazine. 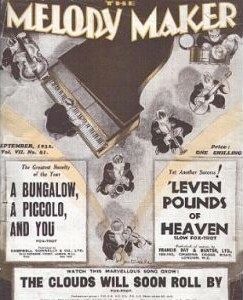 It was authored only a year after Rollini made the trip across the pond to play with the Savoy Ballroom band as lead by Fred Elizalde. This would be a short run for Rollini as he left the band in 1928 and returned to the US. 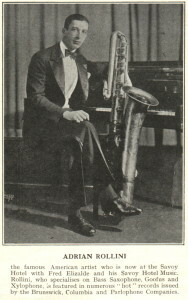 Throughout his career Rollini defined and refined the roll for the bass saxophone in the hot jazz band. Of course he wasn’t the only person playing the bass saxophone but he was widely known from his time with Bix Biederbeck. In the articles linked below Rollini touches on the major parts of bass saxophone ownership and paying. In fact much of what he describes still holds true today nearly 86 years later.